This Museum Display Cabinet has a Cherry Wood Finish and is Topped with a Locking Tempered Glass Case! 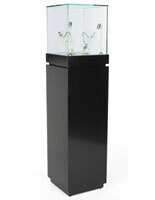 This Curio Cabinet, Glass Display Case is Great for Collectables. The Museum Display Cabinet Ships Quickly When You Buy Online! 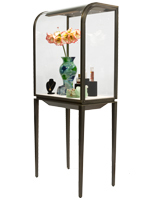 We offer this glass museum display cabinet with tapered legs and a silver anodized aluminum frame. 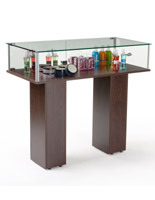 Our museum display cabinet also includes a cherry veneer deck that creates an inviting and elegant viewing location. 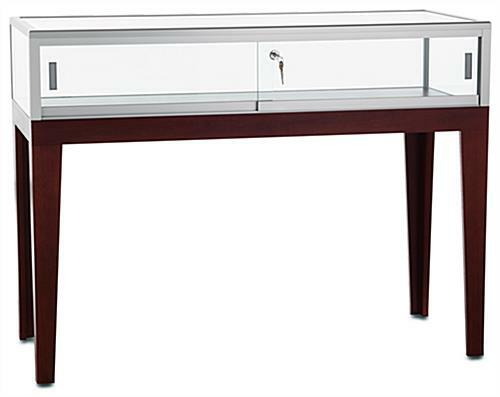 A jewelry display showcase like this solid wood museum display cabinet is ideal for small offices and retail setting.. At 48" wide and 20" deep, this display table has plenty of location for exhibiting your assortment of articles like eyeglasses and rings. 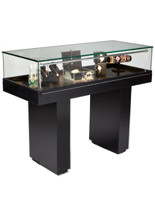 With a height of 36", this museum display cabinet can also be utilized known as a desk for discussing options with clients. 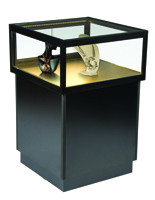 A jewelry display showcase for example this glass museum display cabinet is not affixed to the floor so it can be placed anyplace inside your store. 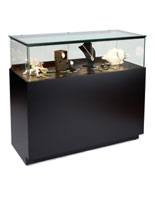 Our glass top museum display cabinet adds a stylish appearance to your retail setting. With 9" of glass height, this wooden museum display cabinet is an ideal method to present fine antiques, jewelry or watches. 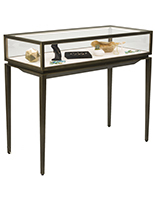 Each museum display cabinet, also also known as a jewelry display table, has a solid wood base with a rich cherry finish. 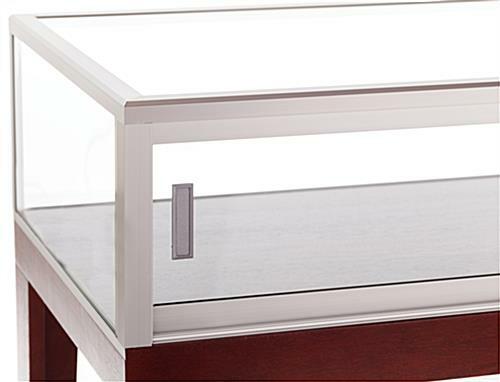 You can display your articles securely under the tempered glass. We extend this museum display cabinet with a sliding glass door that locks to shelter your displays and also permitting for presentation. PLEASE NOTE: Sale Pricing Applies Only To In-Stock Stock! Any Supplemental Cases Ordered Are Subject To Longer, Out-Of-Stock Lead Times & Normal Pricing. We Apologize For Any Inconveniece.